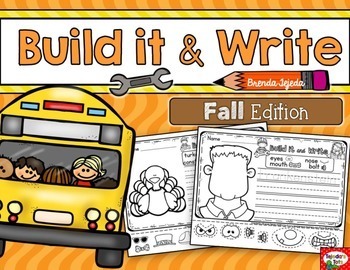 Fall: Build it & Write! **Part of a GROWING BUNDLE that is on sale! ** Click here for a look. Which kid doesn't love building and creating things?! 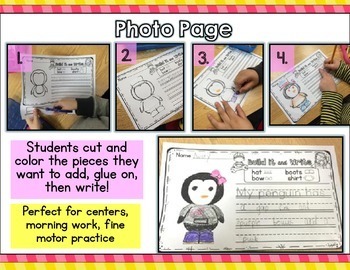 My students cannot get enough of these Build it & Write activities! Students pick the pieces they want to build the picture, color them, cut & paste them on, and write about it! They can draw more details too, if they'd like. NO PREP! 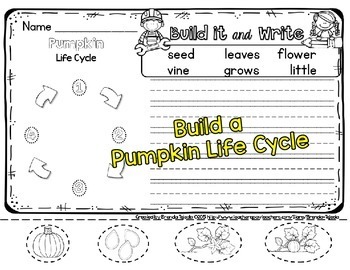 This is perfect for a FUN writing and fine motor skills center. *extra writing paper for 2-sided copying- word bank on both sides!